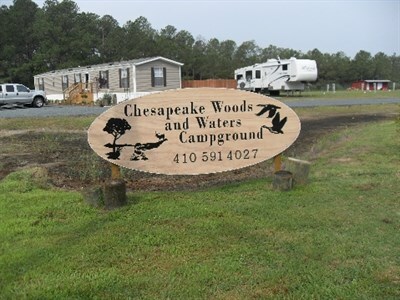 Photo Credit: Chesapeake Woods and Waters Campground. Can accommodate RVs up to 35 feet. Close to some of the best fishing, crabbing and duck hunting in the state.